With harvest season being a time of thankfulness for abundance, it’s worth going the extra mile for a full selection of fall festival events. By all means, include face painting, pumpkins, and photo areas, but also add physical challenges like the 3 Play Sports system or the 3-Lane Mega Thrill. It’s a friendly test of coordination and skill for attendees of any age. 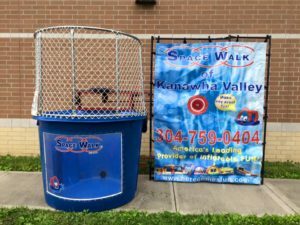 For the classic carnival atmosphere, be sure to include a Dunk Tank with one of your most popular teachers or organizational leaders. A little friendly trash-talk can make this piece a fall festival favorite. For younger attendees, you can include a milder version like the Noah’s Ark Toss, which also provides an educational opportunity. Improvised and homemade activity booths are part of the fun (looking at you, apple bobbing), but it never hurts to fill in the gaps with ready-made games and activities. Whether you’re celebrating the general season or providing a safe Halloween activity, a bounce house or an obstacle course can make a great addition. We can mix and match a wide variety of styles, depending on your organization and the themes of the event. 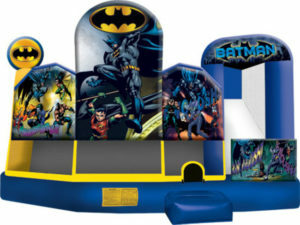 Kids in animal costumes can pile into the Noah’s Ark Combo, and little superheroes would love to bounce over obstacles in the Batman 5-in-1 Combo. Combination inflatables include bounce areas, as well as obstacles, and sometimes slides, to keep the kids entertained and provide extra opportunities for creative play. Kids love the simple, classic Space Walk bounce house, but it can be extra fun to go inside or on top of a giant, inflatable animal. 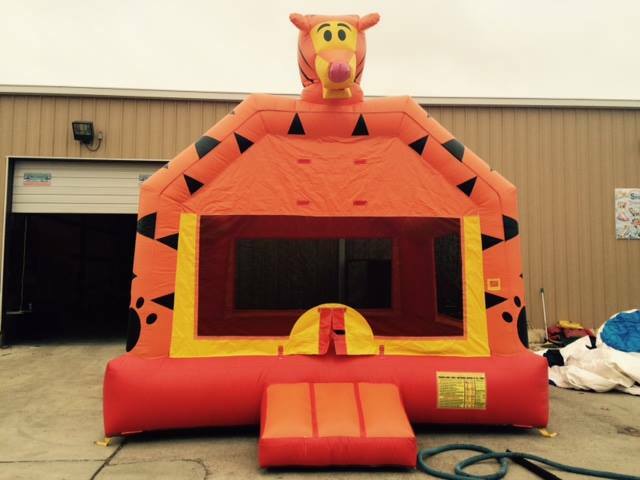 Watch their eyes widen when the youngest ones see other kids climb into the mouth of the Tiger Bounce. For fans of the Jurassic franchise, the Ninjasaur is a ride that’s not to be missed. To look for inflatables and games that might match the theme of your fall festival of Halloween event, browse through our collection. Previous PostPrevious The Secret to Easier-Than-Ever Party Hosting: Put Your Crock Pot to Work!